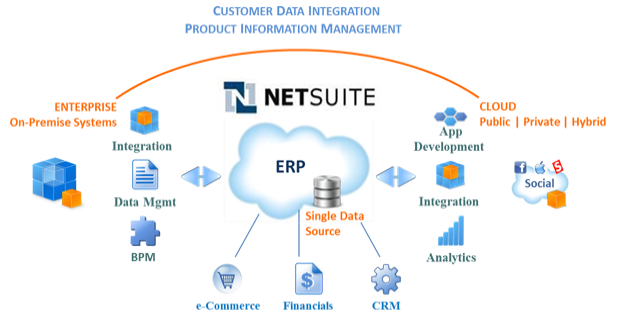 NetSuite ERP, it has been signified as the most customer-friendly ERP Software Suite to provide simultaneous benefits with its multiple business solutions. Consistently delivering incomparable ERP benefits to global customers in terms of slashed IT costs and enhanced business efficiency, it has marked itself as the most reliable name in the ERP history. With its shared database that is integrated with sales, orders, inventory and all back-office operations; it can be relied upon to utilize same information for specific business requirements. Net Suite ERP system comes in two forms; one of which is the on-premise ERP that is installed locally and the other comes as a cloud-based ERP solution. Locally installed on company’s hardware to be later managed by company’s IT staff is called the on-premise ERP solution. On the other hand, SaaS (Software-as-a-Service) is the cloud ERP, which can be availed as a service from an ERP vendor; who centrally manages company’s ERP software along with all data over the Internet that can later be accessed by using internet browser. Cuts down IT costs up to 60%. Increases order to cash process by 55%. Elevates business productivity with improved quality. With updated versions, you always get improved system performance. Offers real-time visibility and enables to access business operations from anytime anywhere. Every organization needs to have a perfect balance of business activities to keep up with brand value and customer expectations. Coming across several challenges in the name of inventory management, product distribution, finances, sales forecasting, customer satisfaction, etc. are the indicators you would discover your company needs an ERP system with. 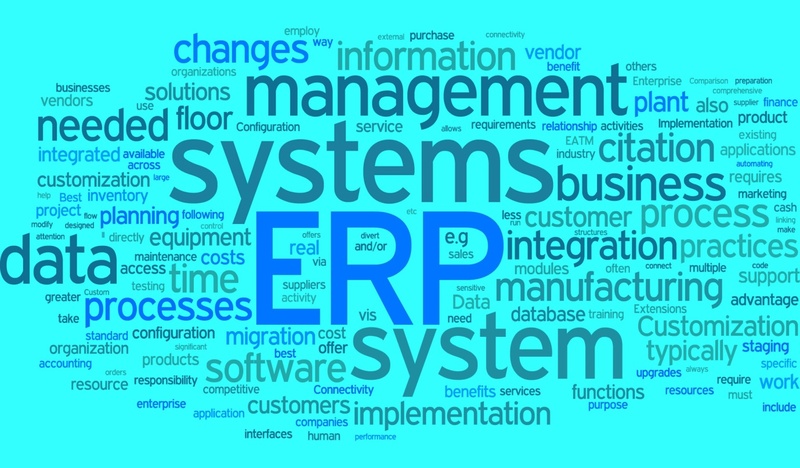 Take an overview of some primary signs that will help you in knowing you need to adopt an ERP system for your organization. Using different software for different functions. Can’t have easy access to business information. Unable to manage sales properly due to inappropriate forecasting of inventory stock. Accounting and calculative systems are complex and take longer time. Company IT is way difficult, making it time consuming. Customer experience is suffering resulting in reduced sales and revenue. If you come across above listed signs while running your business, you need to immediately implement business management software from a trusted NetSuite development partner. We, at NetSuite Expert have proved our industry expertise as a reliable Netsuite ERP partner by delivering unmatched NetSuite cloud ERP solutions to global clients. Our clients have received huge business transformation by achieving their business vision with NetSuite India’s ERP software services.